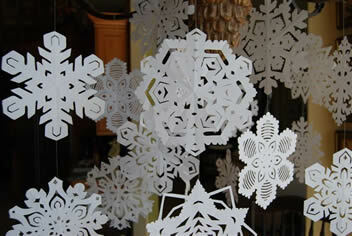 Paper snowflakes are a fun and inexpensive way to make your home look like a winter wonderland! Looking for a low cost way to dress the house up for the holidays? 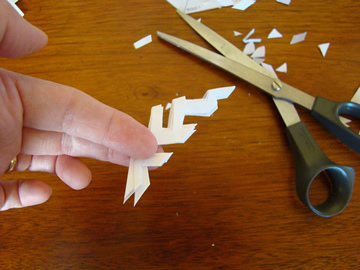 Why don’t you grab a pair of scissors and a ream of copier paper and get busy! The whole family can get involved and while watching one of your favorite holiday movies; your family can create enough snowflakes to make it look like your home was in a blizzard!! It would be difficult for me to give you more snowflake patterns than the ones that are already available on the internet. 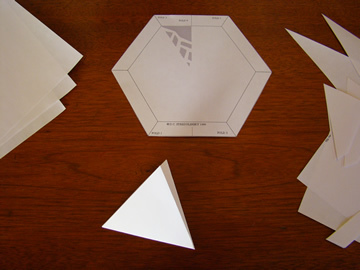 So, I’ll give you the basics of folding and cutting, and then check out the web addresses I’ve placed at the end of this article. 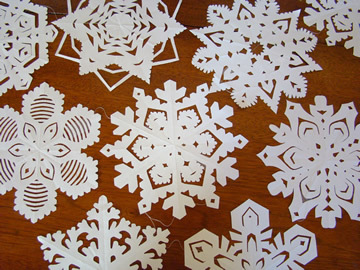 However, if you MUST have the exact snowflakes I made, you need to find a book called, “Paper Snowflakes For All Ages”. I’ve seen it available on etsy.com and it was created by Robert P. Kelley – the Paper Snowflake Master! Templates from internet or your imagination! 1. 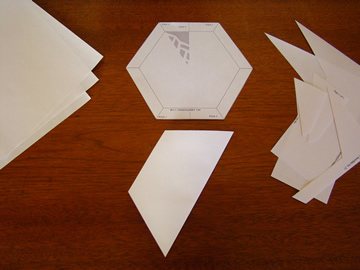 Place the template on top of a piece of white paper and cut out both at the same time. 2. 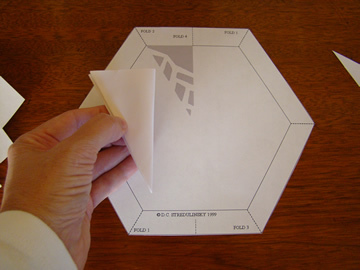 Following the instructions on the template, make the first fold. 3. Make the second fold. 4. Make the third fold. 5. 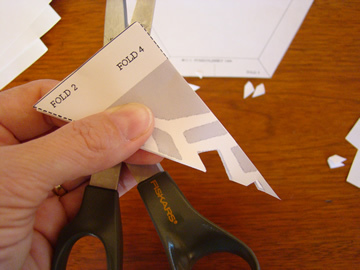 Fold over one more time to match the shape of the drawn template. 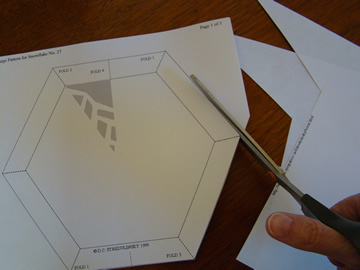 Then, cut out the triangular shaped template piece. 6. 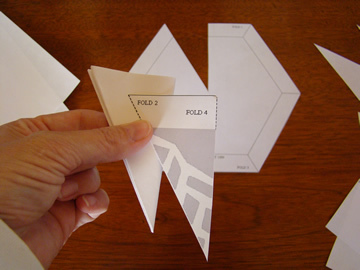 Place the template over the folded paper and hold them together tightly with one hand. 7. 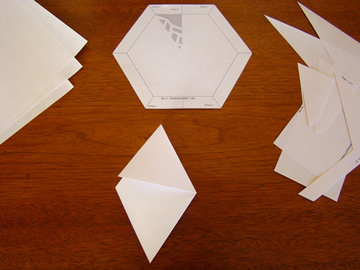 Begin cutting out the shaded sections and leaving the white “snowflake”. 8. 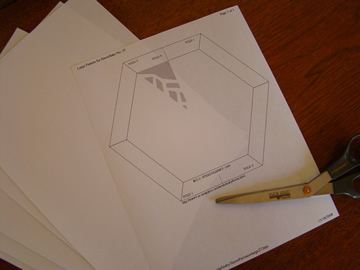 When all the shaded areas are cut out, gently unfold the paper to reveal…. 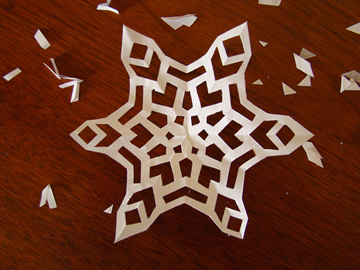 …a gorgeous hand cut paper snowflake. My favorite kind….paper that is! Keep those scissors flying and before you know it, you’ll have snowdrifts throughout your home! Tape them to windows, hang them as ornaments on the tree, add thread and hang them from chandeliers and ceilings, they even make great gift wrap décor! P.S. 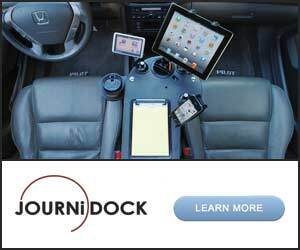 – Here are those websites I promised. I found the pattern I used at Dave’s!